Can Liver Disease Cause Abdominal Pain? There are numerous possible symptoms of liver disease; some are specific to ailments of the liver, while others are signs of numerous other conditions. Proper diagnosis is the only way to know for sure. Loss of appetite accompanied by vomiting, diarrhea, and unusual weight loss or weight gain. These digestive problems occur because of the liver’s inability to process nutrients and food; weight loss may result because of not eating enough due to lack of appetite, and weight gain occurs because of fluid retention because of the cessation of filtering functions of the liver. Abdominal pain in the upper right portion of the stomach occurs because of a distended liver and spleen. The enlarged organs become tender and inflamed, affecting the surrounding tissues as well. Ascites is the retention of fluid in the abdominal cavity. This occurs because one of the liver’s main functions is to filter the blood, separating the different liquid components, and passing these fluids onto their appropriate route throughout the body. When the liver shuts down due to liver disease, these filtering responsibilities shut down, causing the fluid to back up and fill into the cavities of the body; feet, legs, abdomen, fingers, arms, and brain can all fill with bodily fluid. Ascites results in the marked swelling of the body, most notably in the abdominal cavity. This fluid retention by occurs along with the inability to pass urine. Coughing up blood, vomiting blood, and rectal bleeding, all can occur in the latter stages of liver failure. These happen because of bleeding esophageal, stomach, and intestine varices caused by increased blood pressure in the portal vein—the largest vein in the liver—due to liver disease; this vein carries blood from the intestine to the liver, and the increased pressure makes these veins balloon outward causing them to eventually rupture and cause this type of bleeding. Changes in mental status or consciousness also occur during the final stages of liver failure, known as liver encephalopathy. This is the deterioration of brain function because of the buildup of toxic substances in the bloodstream, which a normally healthy liver remove. Another contributor to liver encephalopathy is fluid buildup that occurs throughout the entire body, including the brain, causing swelling and increased pressure inside the cranium. This fluid buildup and pressure result in many psychological alterations including impaired consciousness. Changes in logical thinking, personality, and behavior occur, as do changes in mood, impaired judgment, drowsiness, confusion, sluggish speech and movement; disorientation, loss of consciousness, coma, and eventually death. Less noticeable or dramatic symptoms that can be mistaken for other conditions include depression, fatigue, malaise—a general feeling of illness—weakness, increased sleeping, paleness, light-headedness or fainting—especially upon standing—chills, low-grade or high fever, bleeding easily, bruising, and intensely itchy skin. Liver complications typically begin with the more general and mild symptoms; feeling more tired than usual, feeling sick yet not being able to really identify an illness, having a fever, and achy or painful muscles. Visiting a doctor may result in advice to take a fever reducer, drink plenty of fluids, and get plenty of bed rest. In cases of liver problems, these recommendations do help, and the symptoms may improve or disappear all together for a short period of time, but return later on, more forceful than before. Symptoms generally worsen in severity and intensity over time, with individuals typically developing new signs as time passes. Left untreated, as the condition progresses, the more severe symptoms can begin to surface. Swollen hands and feet accompanied by tingling sensations; a tender and swollen abdomen; digestive problems. Only a physician can properly diagnose a liver disease. After a thorough examination, symptom discussion, and medical history, a healthcare professional will properly diagnose whether a patient has a liver disease or not. Doctors take blood and run tests on it to check for problems. These blood tests typically include liver function tests that check for a variety of liver enzymes and byproducts that should be present or that are missing in the bloodstream. They also include a CBC, or complete blood count, which looks at the type and number of blood cells in the patient’s body, and liver function tests, which are blood tests that check a wide variety of liver enzymes and byproducts. These blood tests will reveal if there are problems with the liver’s function, and discovery of a hepatomegaly, or an enlarged and hard liver, can help the professional come to a decision. To evaluate the condition of the liver, doctors take abdominal X-rays, ultrasounds—that show the size of the abdominal organs and any masses present—abdominal CT scans and abdominal MRIs, which give doctors detailed information about the liver’s structure and its functioning. An upper GI, which searches for problems with the esophagus caused by liver disease, and liver scans. Healthcare professionals perform these tests with radiotagged substances that will show changes in the liver’s structure. They also use an ERCP, or endoscopic retrograde cholangiopancreatography; this process uses a thin tube—an endoscope—to look at the tissues and organs inside and around the liver. If there is still confusion or unclear results from previous tests, healthcare professionals will perform a liver biopsy. In a liver biopsy, the doctor removes a very small piece of the liver for examination under a microscope. Doctors may perform this biopsy multiple times, to check on how the liver is responding to treatment or what its condition is. 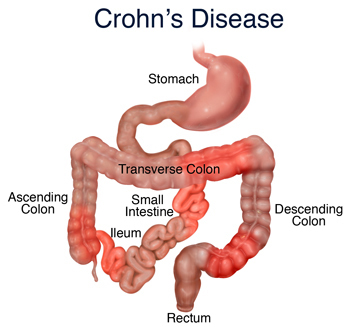 Can Crohn’s disease cause colon cancer? 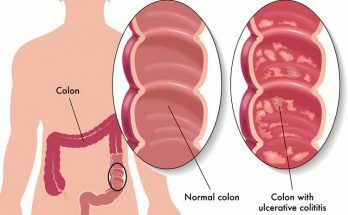 Can ulcerative colitis cause colon cancer? Can exercise cause abdominal pain? Can herbal medication help nausea & vomiting? 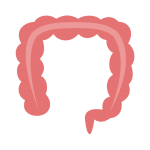 What are the common symptoms of Irritable Bowel Syndrome (IBS)? Addyhd on Can bananas cause abdominal pain? sumi islam on Can diabetes cause abdominal pain? To provide accurate, free and simple to understand information about the common causes and treatments of abdominal pain. No spam and no miracle cures (sorry). Copyright © 2019 Abdominal pain.